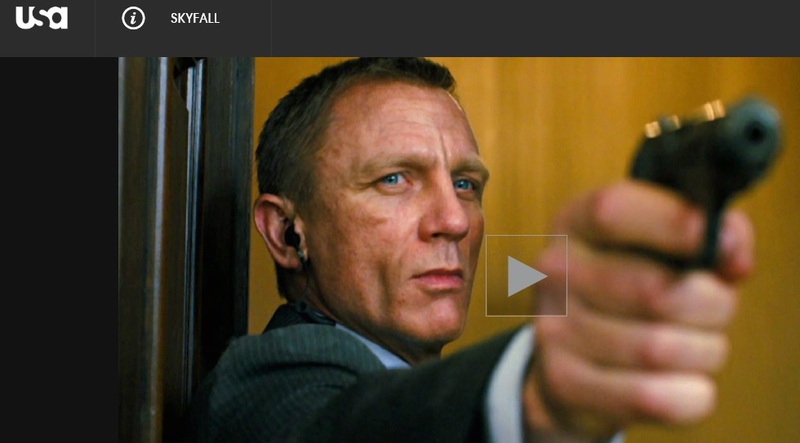 A couple of weeks ago on a Saturday night, the USA Network had the network TV premier of “Skyfall”, the newest of the 23 James Bond movies. I am a BIG Bond film fan having been raised on films that took me to places I had never been, and featured a really dapper guy who was always in control, no matter what the danger was. As a teenager, I marveled at how he always seemed to know what to say, especially around the girls. I can tell you this TV movie was a big event in our household that evening. So why should my fascination with James Bond be important to you? Only because we watched that entire movie on network TV and never had to sit through a single commercial. Why — because we recorded it, and then zipped thru the commercials. But I’m not unique. Research indicates that over 50% of television viewers always skip through the advertising using some type of DVR set-top box that permits time-shifting an event. So was all that advertising around that movie wasted?? At least half of it was. Question is: do the advertisers who paid big money to be shown during that movie know which half? I am often asked the same question about our print, online, and mobile Yellow Pages. The answer may surprise you. I’ll give you a hint – it’s about something called “life-events” which create major shopping episodes involving things we usually have little experience with, but more often involving BIG $’s. And no one fast forwards through these ads…. Well, here’s the truth: Unlike the TV, the Internet, or even mobile devices, Yellow Pages are not necessarily used every day; it is not even used routinely. According to CRM Associates, about 90% of its usage is “episodic”, driven by those pesky life events and “out-of-the-ordinary” events in people’s lives. These events create major shopping activity; involving things we consumers have little experience with (replacing a roof, finding an assisted living residence for an aging parent, replacing a water heater, finding dental specialist). These events tend to involve big $ expenses. CRM Associates says the typical average amount people spend when they use our print, online, or mobile Yellow Pages is about $730. Most of the types of purchases that fit these activities are service-related. So it should be no surprise that 80% of Yellow Pages’ top headings are service related. The strength of Internet and mobile maybe on the retail side; but the strength of Yellow Pages is, and always has been, on the LOCAL service side. For major service jobs, such as air conditioning, plumbing, roofing, health care, and even financial planning support, the ideal customer for these businesses is typically someone at least in their 40’s, most likely in their 50s, 60s, or even their 70s. Over 80% of the nation’s financial assets are held by households 50 and over. 61% of the national’s discretionary income is made by those over 44, and this group accounts for almost two thirds of spending in Yellow Pages top heading categories. The number of people in this age group will increase 40% over the next 10-15 years. And surprise – these people are the heaviest users of print, online, and mobile Yellow Pages…..
Yellow Pages in print, online, and mobile formats are the ultimate local shopping resource. Print, online, or mobile — it’s still the most trusted source to find information fast…. As an independent publisher now, I’m glad they do. It provides a real differentiator between their yellow only directory loaded with mostly national accounts, and our yellow pages (with only local small businesses) which also have a white page section (business & residential intermingled) in a type size you can actually read, and a real community section. 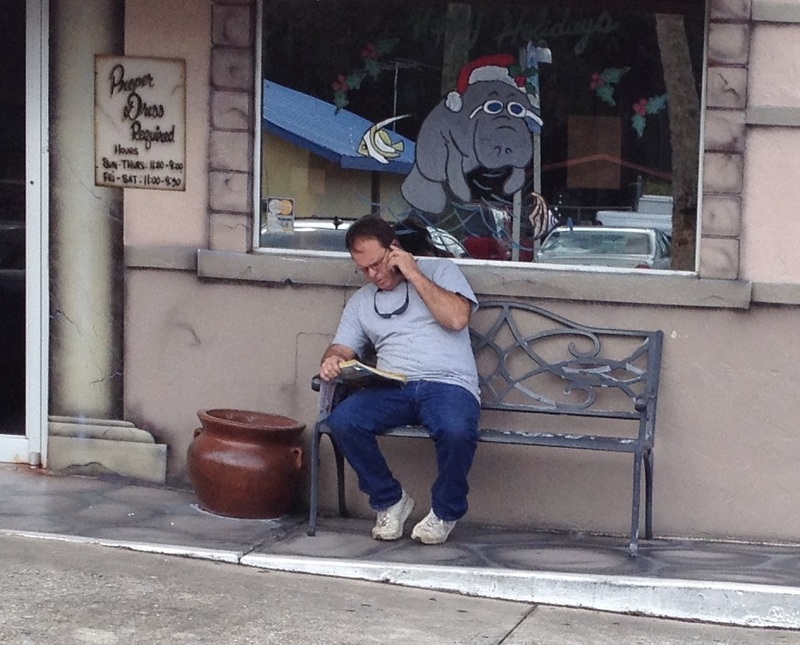 Now that’s a “real” yellow pages…. As the company noted, consumers/users have “other” options. Sure. But what they seem to have missed is that if someone is hold a print yellow pages, and using it to look up stuff, why would they want/need to go online for something else? I was slow in responding to this biting commentary as we were working with local small businesses on our New Smyrna book, but couldn’t pass up the opportunity to share some of the weird, warped impressions some have from their lofty perches high atop the Internet. It’s a classic. It’s a little long but worth reading. 2. Carry a fancy brochure with dizzying stats, comparisons YP vs. Internet, ROI’s and so forth. Obviously, the presentation is very elaborate and systematically methodical (always BE CLOSING). In conclusion, maybe YP may work as a short lived miracle for a very limited some, but not for the majority of business out there. I remember back in the early days of the internet, YP would compete by offering clients results based pricing using a metered phone line and soon realized the writing on the wall. In a real-life scenario, But then again, you appear to be a great sposkeman/sales person for the YP industry. Question: Would you sell a $800 a month ad to your own family member that say had a struggling print shop or any other storefront type? 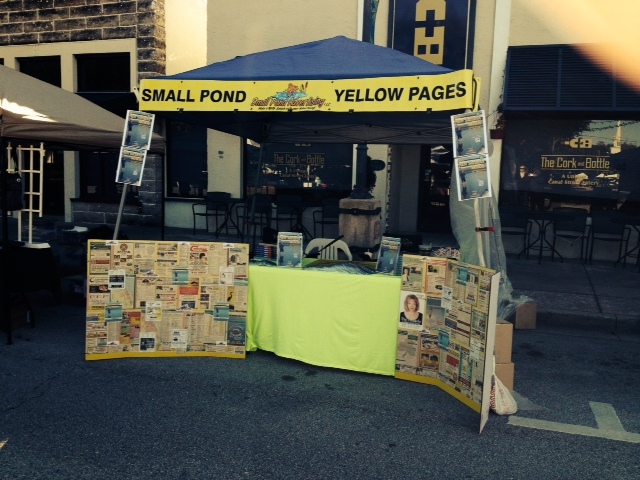 Sorry for the slow response as we were closing another successful local print yellow pages, which grew from last year, so we were more than busy. “an almost obsolete product“: if that was true can you explain how one of local plumbers gets over 110 calls a month on their call tracking line, the number for which only appears in their print YP ad?? Or how about the storage yard that gets 2/3rds of all their calls from their ad based on their manual recording of each call they get, as it also has a call tracking number in the ad?? “Carry a fancy brochure with dizzying stats, comparisons YP vs. Internet, ROI’s and so forth“: Sorry to disappoint you but the only thing my people and I walk in with is the book, the current call tracking data, and a stack of testimonials we get from the usage contest we run in the book. All of that is printed on regular paper using my cheap inkjet printer. The presentation is neither elaborate nor “systematically methodical”. It is a discussion about where there business is, where are they looking to go with it, and how can we help them. In most cases, we can help. There are some businesses that are more wholesale/middle men in an established process, in which case, the product can’t do a lot for them but we still recommend they have a bold listing or small in-column ad with relevant info like websites, fax numbers, and other key contact information. And then there are businesses like yours that really aren’t used by local small businesses – as you noted in your own comments. But you also missed the key point that we are more than just print. 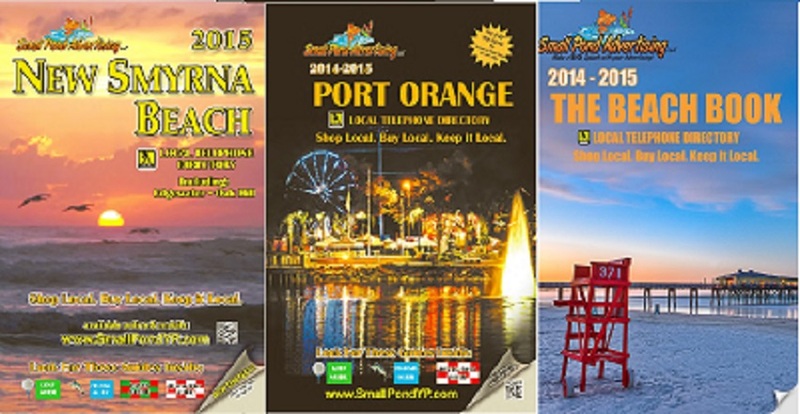 Everything we do in print is also online at www.SmallPondYP.com . “…end up trapping themselves into an ironclad contract that automatically renews itself (hey, we got a live one here! )”: Our advertising rates cover a full year cycle, in most cases. That makes sense since the book is on the street for a year. But we do have other products that run for different lengths. We also don’t do “autor renew”. Each year (or more often) we again visit with those local businesses (as in go their stores/offices/job sites/etc) to discuss what’s changed and how we can help them change/update their advertising message. We don’t call. We go meet them, face-to-face. And I don’t think we’ve ever held a gun to any ones head to get them to sign the contract. In fact, I review the entire contract before I hand them the pen to sign it. Answer: If after meeting with them to understand why they had a “struggling” business, and our products were a fit for their core customers, YES, without hesitation. But you also are naïve in that I don’t have an ad that cost’s $800/month unless you want to buy a cover ad, which I would probably never recommend to a “struggling” business, and to be honest, the cover ads are all sold. None are available. Now Ella, since you didn’t do your homework, you would probably have not noticed that I spent over 10 years in the recruiting world. I can tell you that we encountered numerous “employment background screening” companies and we consistently found aggressive tactics to woo unqualified candidates just so they had fresh meat to tee up for a client, rampant misuse of candidate data, and inconsistent screening. Hopefully you don’t work of one of those type companies. In another classic case of how directory publishers in telephone companies can shoot themselves in the foot (and several other very painful places), Frontier Communications petitioned the West Virginia Public Service Commission (PSC) for permission to stop providing printed directories to its customers or, in the alternative, provide phone books only to customers who request them (can you say “opt-in”). For those not aware of it, by PSC requirements, most Telco’s have to publish a directory every year. In it’s deep wisdom Frontier argued that “…printed phone books are “antiquated” because of the availability of directories on the Internet…” – and we all know that if it’s on the internet, everything else be damned. Well, not so fast sparky — The Pocahontas County Commission considered the issue during its meeting on October 15 and quickly concurred that Pocahontas County residents need a printed phone book. The Commission agreed to send a letter to the PSC, stating its opposition to the phone company’s proposal. Commission President David Fleming offered to draft the letter. Remember we aren’t talking about NY city or LA, or some other cement suburban area, we are talking about rural America where people like to shop locally and not online. They want to know who they are doing business with. Frontier obviously doesn’t get that, or more factually has no clue how to run a highly profitable advertising sales organization in a rural market. Clearly no one from corporate wants to go live in a God forsaken place like this and manage Yellow Page sales. Not when they can sit behind a desk in some glass tower in a more attractive city and play on their computers all day. As a former manager once schooled me on “…you can’t help stupid…”. Add another Telco publisher to that list. If these books are “antiquated” how come I got 3 calls today from people that are upset their phone listing was left our of the directory, or the 4 people who wanted more copies of the book???? ?